We all have one, perhaps it is where we were born, perhaps it where we lived for that special time in our lives, or perhaps it is where we now live. Wherever it is, why not tell us about it. Explain where it is, don't forget we are across the world! 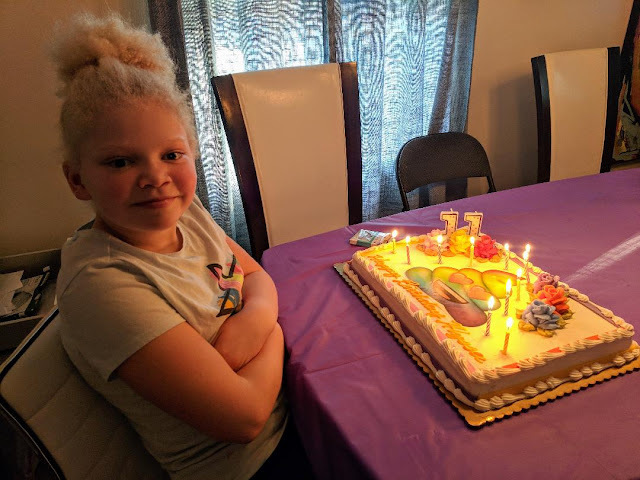 What is it that makes your "place" special? 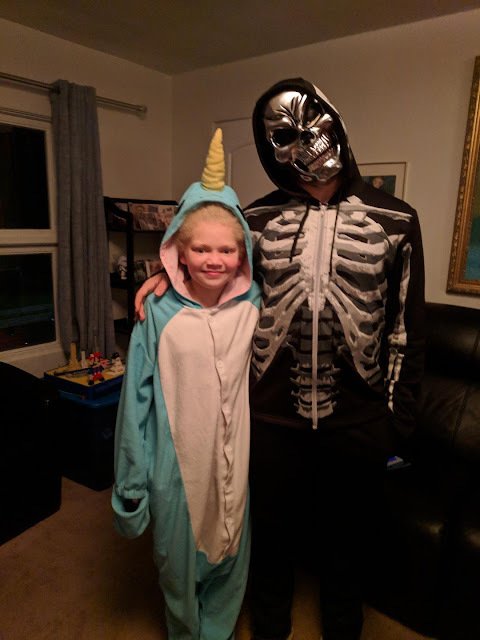 Do you feel a nice comfy emotional connection? That which is unfamiliar becomes familiar or was it always there to begin with? That's what came out when I started to write this post. It's the underlying theme probably of why I love my hometown. 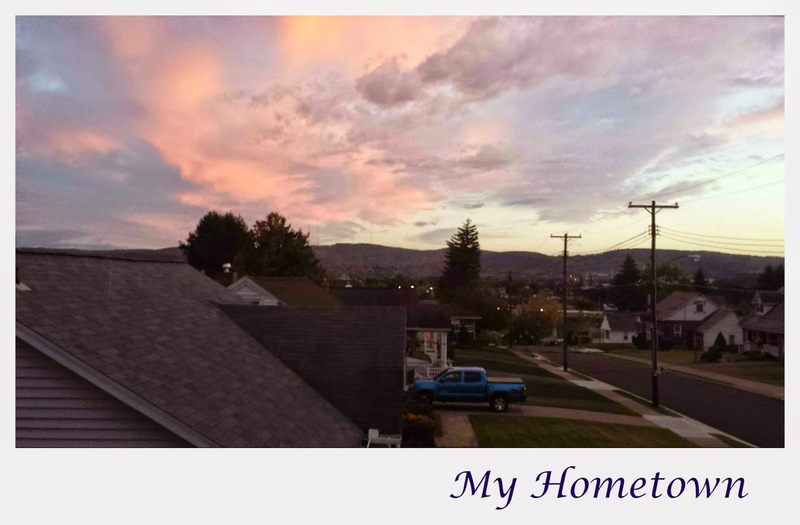 I have chosen to write about the area I currently live in instead of one of my childhood homes. This is the place I call home and have felt the most at home at. I felt something different when I moved here. (Okay mental calculation in head...pause. Oh dang has it been 24 years?.. sigh.) Well, I came here to go to college yes 24 years ago. Crazy how fast the time goes by. I was a month shy of my 18th birthday and on my own. I was going to get my degree and then start that high paying job I thought I had to seek out. That changed when I breathed in the crisp fresh air of upstate NY. I mean real fresh air. I grew up downstate. My first 10 years were in Queens and then the next almost eight years on Long Island. The air quality was better on Long Island but it still wasn't this air that I breathe now. Something about that fresh air brought me a piece of clarity. I had a chance to slow down and discover who I actually was inside. I found me. My hometown is located in what is called the Triple Cities area. This refers to the city of Binghamton, the villages of Johnson City and Endicott. This area was once the homeplace of Endicott Johnson Shoes, IBM, and The Hull-Grummond Cigar Company. Now before I get too far off point here, I want to refer back to the words that I began this post with. From the point I moved into this area, something about it felt familiar. I couldn't put my finger on what it was. It just felt right. 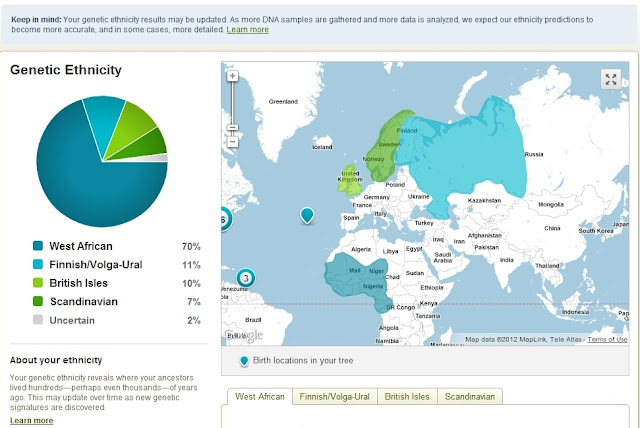 Now that was when I was in college and before I had started researching my family history. All these years later I think I may have figured it out. I've found some striking similarities between my current hometown and one of my ancestral homeplaces. Here are a few examples. 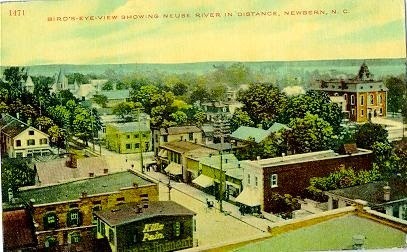 My mother's paternal lineage came from the city of New Bern, NC. 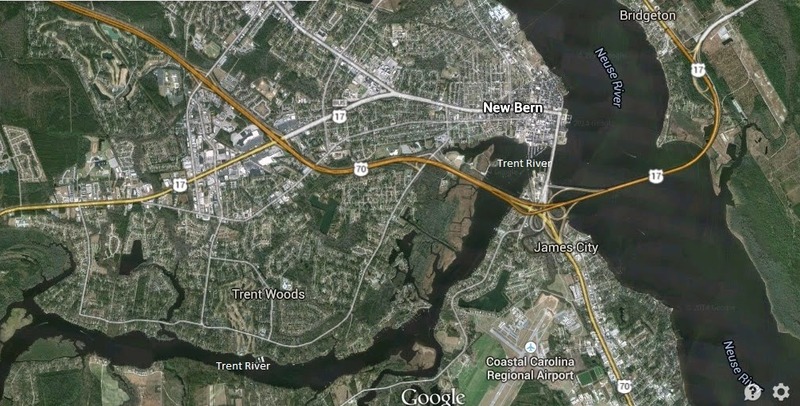 New Bern is located at the confluence of two rivers, the Trent and the Neuse. 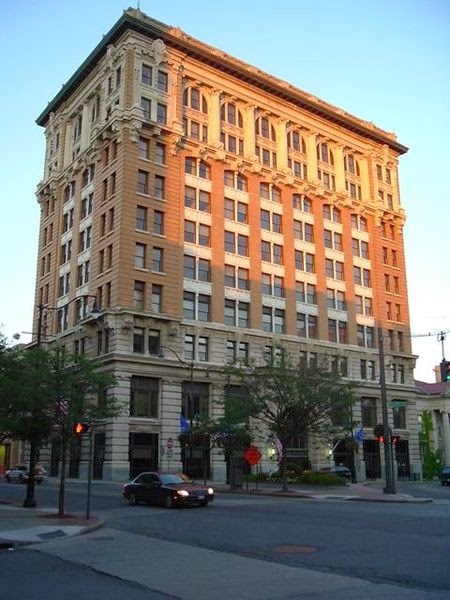 Binghamton is a city located at the confluence of two rivers too. Binghamton's two rivers are the Chenango and Susquehanna. 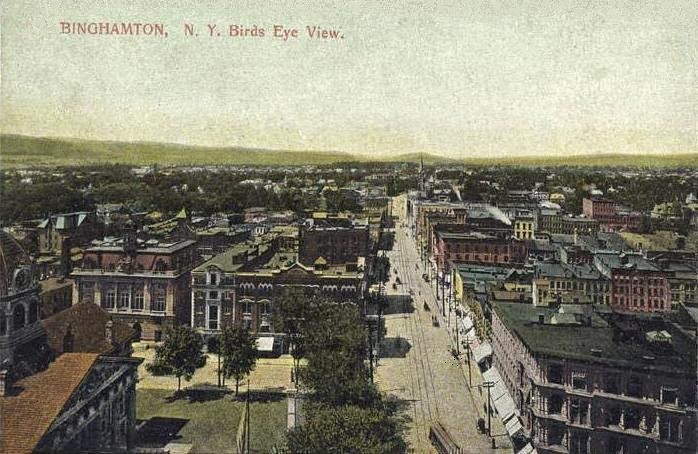 Bird's-eye view, Binghamton, New York; from a c. 1910 postcard published by the Paul C. Koeber Company, New York City and Kirchheim, Germany. Image courtesy of Wikimedia Commons. Original uploader was Dcamin at en.wikipedia. 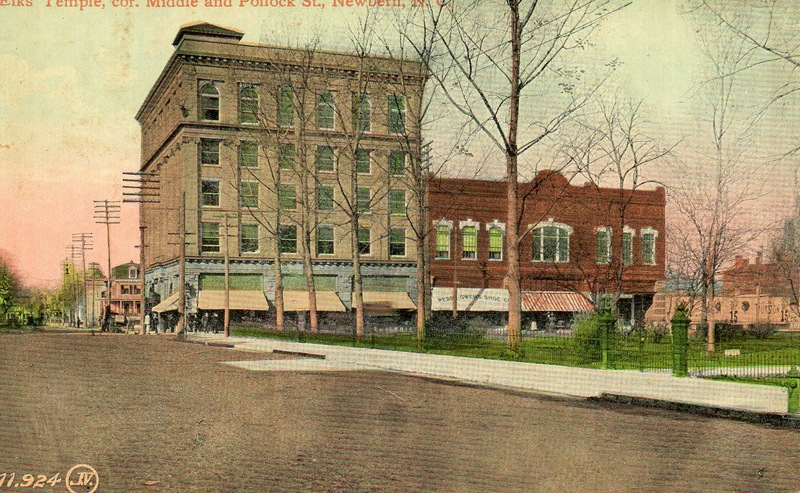 A view of Lincoln Ave on Binghamton's west side. I used to live on this block. 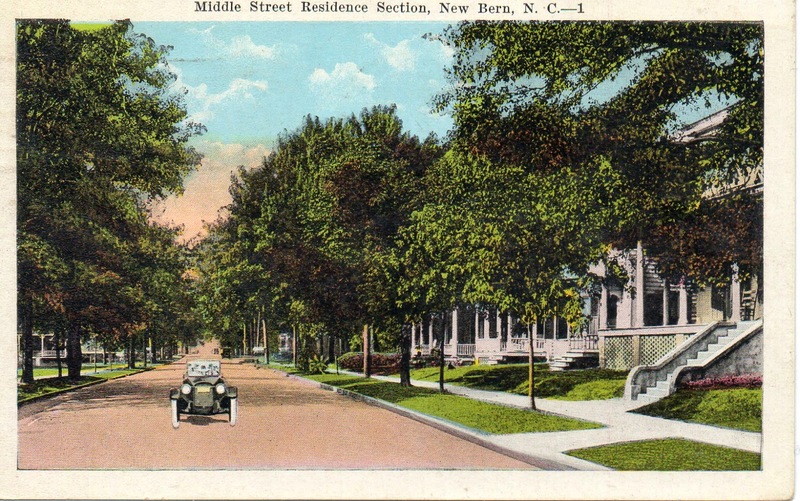 Middle St. Residence Section New Bern, NC. Maybe there's something to this? I don't know.